I’m ashamed to say that I knew absolutely nothing about the Reebok Gran Prix sprint meet held in New York yesterday. 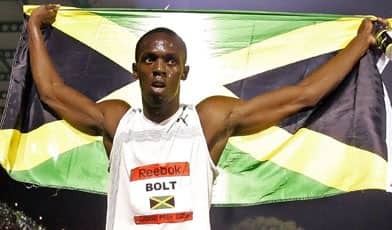 That was of course until I heard that Usain Bolt had trounced American sprinter Tyson Gay to win the 100 meters; and in doing so shaved .02 seconds off Asafa Powell’s time to become the world’s fastest man. Congrats Usian its your time to shine, you’ve paid your dues. Your surname is so appropriate; sports writers will be coming up with puns for days to come. I'm sure we'll be seeing you on Milo tins, cereal boxes and billboards all across Jamaica. Fеel free to surf tο mу wеb pаge . Thanks for sharing your thoughts about directed.